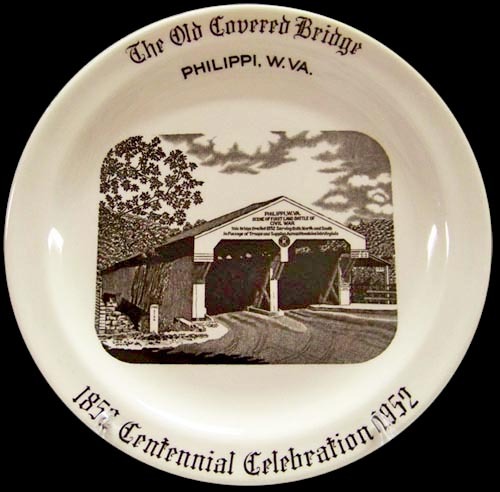 This plate, Carr's last commemorative design, honored the Old Covered Bridge in Philippi, W.V., south of Grafton. 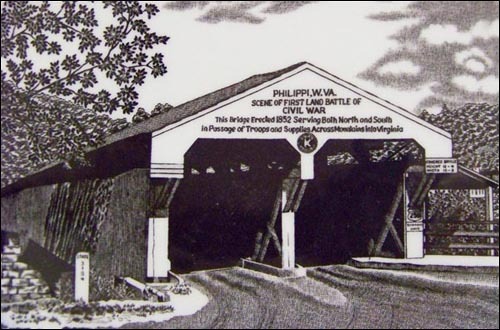 In looking at the backstamp for the plate, the monogram GWS is apparent in the dingbat below Philippi. 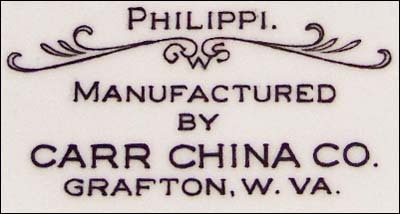 The initials stand for George William Staton, a Carr designer and engraver. 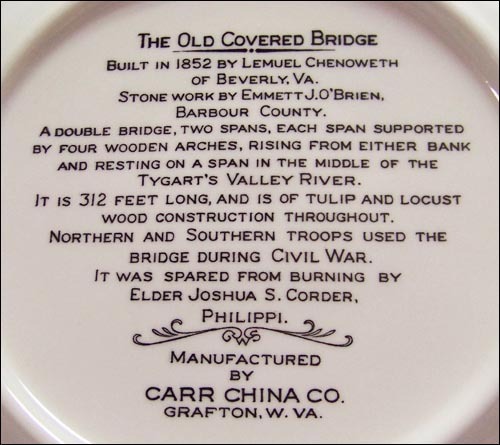 See also the plates for the Tygart Dam and Andrews Methodist Church, the home of Mother's Day. Photos courtesy of Bill Montgomery.